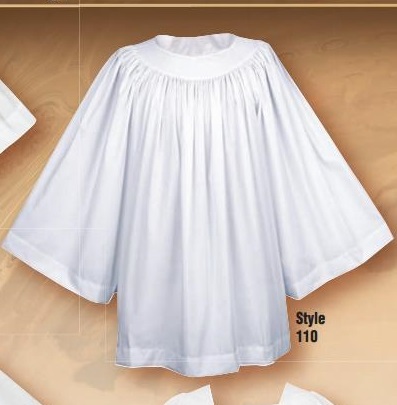 This Liturgical Surplice has an Extra Full Cut - 6" longer than a standard Surplice and longer Sleeves that go down to the wrists. Poly/Cotton Blend, available in either a Round or Square Neck. Please select. Refer to Size Chart in "Image 2" to Select your Size. Please note this style is a fuller cut, 6" longer, with full length sleeves.